Hey there! Can you believe we are in the second week of October? Crazy right? Anyways, that is not what this post is about. This post is about a special delivery by none other than Pixy by Petra! I love their brand and although I love their brand I will always give honest opinions on their products..but so far everything has been great! Soooo you ready to see this special delivery??? Ta-Da! This package is amazing it comes with their MatteLast Liquid Lippies! These liquid lips are infused with Rosehip Oil and keep your lips hydrated. I don’t know about you but lately even with lip mask my lips are being stubborn and dry. So having these that keep your lips hydrated is awesome! and not only does it come with 11 shades of their lipsticks it also came with a chance for me to show my creativeness! Oh yeaaah! 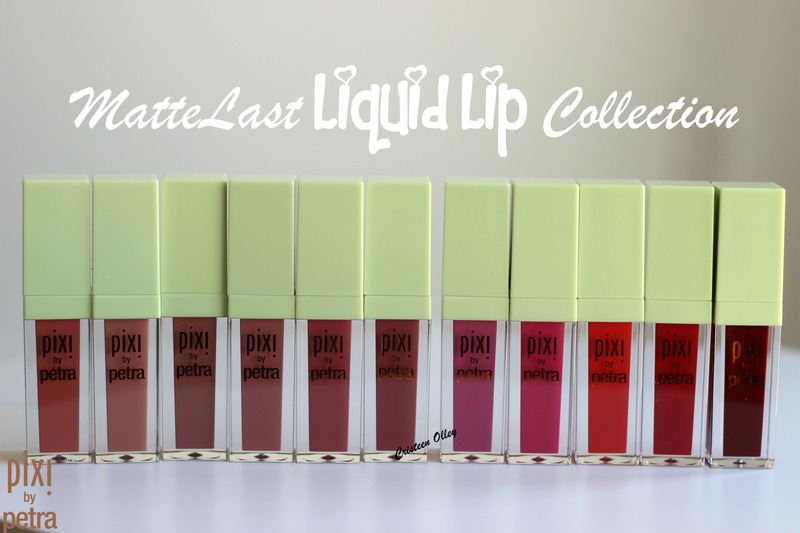 Petra will select one shade as an inspiration for a future addition to the MatteLast Liquid Lip Collection and I am able to mix these babies up and create a shade of my own hoping to be chosen with the shade she likes the best! How cool is that!? Back to the MatteLast Liquid Lipstick. They are really pigmented (as you can see in the swatches below) and they go on very easily. The applicator makes it so simple to apply. What makes it even better is they don’t dry up my lips! WOOT WOOT! Thanks for stopping by friends and see ya in the next post. You can shop this collection at Target or on pixi’s site and thanks again pixi for gifted these to me.